Hello from Salty Towers, home of the tastiest crisps you could shake a tail at. We make sure all our potatoes are of the highest pedigree. They are hand-cooked in sunflower oil for extra bite, and seasoned with deliciously feisty flavours. We're always digging around for new ideas, and have introduced some particularly noshable nuts and gourmet popcorn into the Salty Towers litter. 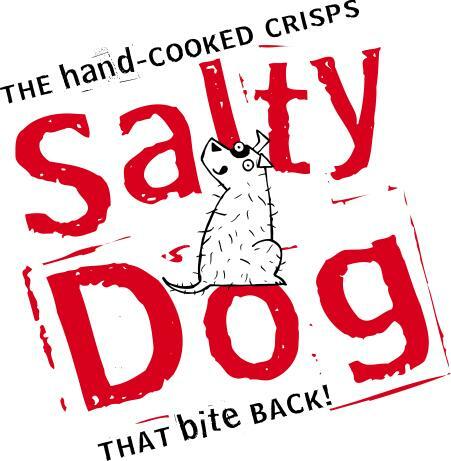 It was in 2002 when Dave Willis, fed up with delivering other people’s crisps, thought “we could make better crisps than those currently sitting in the back of my van” Judy, his wife, fully agreed and soon afterwards Salty Dog crisps were born.